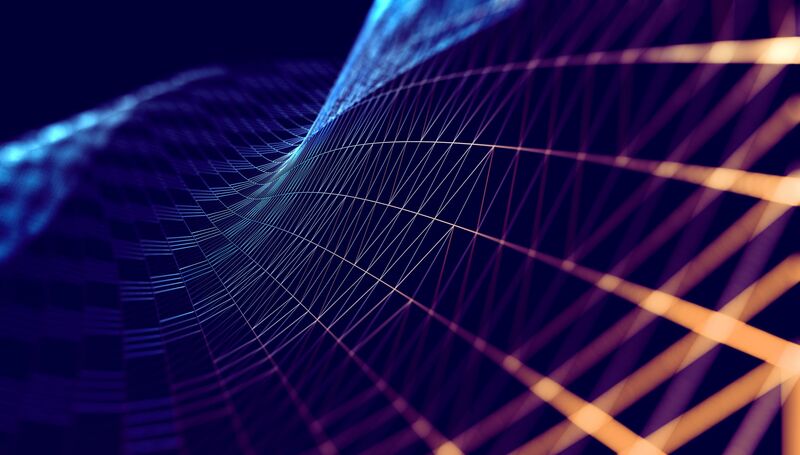 Web 3.0 is the collection of next gen web applications which use emerging technologies such as blockchain, AI, IoT, augmented and virtual reality (AR/VR) as part of their core technology stack. These emerging technologies will shape the interactions users will have in this next generation of the web. The internet took us from zero to one, allowing humans to access information in the digital realm. Ever since, the web continued evolving at an exponential rate. The transition to Web 2.0, dubbed the social web, was ushered in by advances in mobile technology like the Apple app store and marked by the collection of social media applications like Facebook and YouTube which unleashed our capacity for social interactions into the digital realm. As development of next generation technology continues to advance, we are now at the cusp of the web’s evolution into Web 3.0. 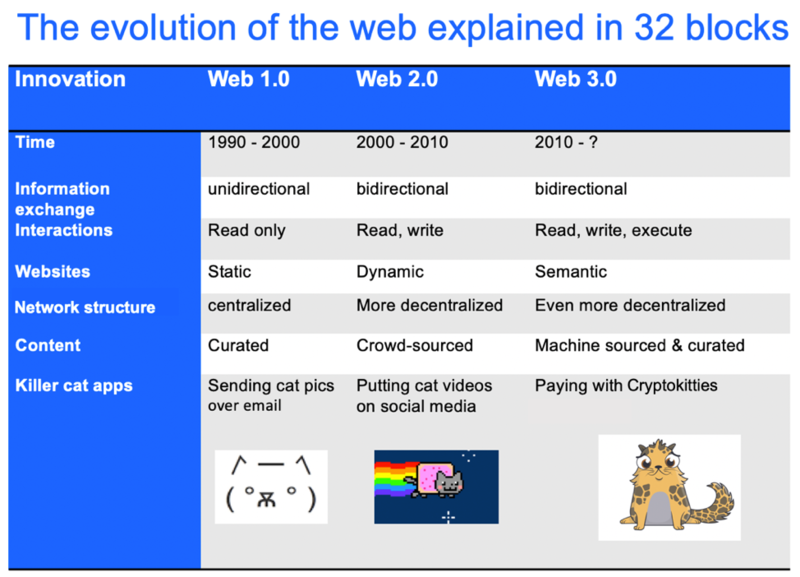 This is the first part of a series of posts where I will explore Web 3.0, running through the history and evolution of the technology involved from inception to its future state. 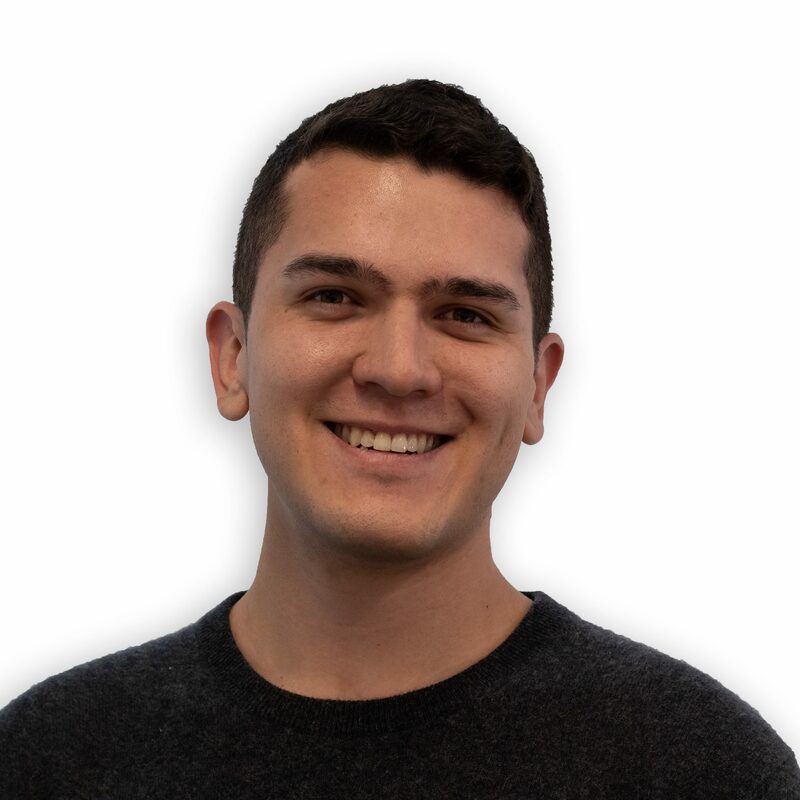 Next, I will dissect the anatomy of a quintessential next generation app and outline the role of blockchain as a foundational building block. Lastly, I will highlight how to get started building the future web with cloud and blockchain technology platforms. A keystone species is defined as a species which has a disproportionately large impact on its environment relative to its biomass. Despite our relatively brief time on earth, some biologists would argue that Homo sapiens, have reached an ecological categorization hierarchically more impactful than a keystone species — a hyperkeystone species. We earned this categorization due to our unnatural ability to influence the environment around us using technology. In the last 10,000 years, we have radically transformed our physical, economic and social landscape through agricultural, industrial and information revolutions. Some historians would argue that this is due to our natural ability to exponentially evolve technology, only recently quantified by Moore’s Law. I would argue that this ability as an extension of our mental and social aptitude has manifested in the keystone technological invention of human history — the global system of interconnected computers, better known as the web. From a marketer’s perspective, the term web is a lot easier to digest than “global system of interconnected computers” or even “world wide web”. From an etymologist’s perspective, the term Web 3.0 is derived from the marketing buzzword Web 2.0 popularized by fellow marketer and technologist, Tim O’Reilly. In his article, O’Reilly used the term to describe the paradigm shift between generations of the web. The evolution of this buzzword into Web 3.0 is contentious and still being defined by marketers today. So, from my perspective as an IBM Blockchain marketer and self-proclaimed evolutionary technologist, I will do my best to add to the existing body of knowledge. Starting at the root of the evolutionary tree, let’s begin with the inception of the world wide web in the early 1990s, where an interconnected network of computers using TCP/IP and HTTP internet protocols took us from zero to 1.0. Web 1.0 revolutionized our ability to communicate by making frictionless information exchange possible. This first iteration of the web was unidirectional, used only for basic one-way communication. Companies like Netscape, Yahoo! and AOL flourished in this nascent information exchange platform where the most popular applications were static web pages publishing information from a central source, and email messages. Exuberant speculation around this new technology gave rise to the dot-com investment boom in the mid to late 90s. The burst of this bubble in the fall of 2001 caused most companies on the NASDAQ to plunge at least 75 percent. From the ashes of this crash, platforms that turned the flow of information bidirectional flourished. During this renaissance, dubbed in hindsight Web 2.0 or social web, the web became more social and dynamic. Wikipedia open-sourced knowledge from its users, eBay connected buyers and sellers from around the globe, and LinkedIn let people share social capital. With AR/VR and high-fidelity 3D graphics, the user interface of the digital web will merge with the physical world. The boundaries between physical and digital will blur as we expand the ability to render physical objects in the digital realm and digital objects in the physical world. With IoT devices running on ever-increasingly advanced networks such as 5G, the Web will be ubiquitous through internet connected computer interfaces of physical objects. Everything from phones to watches, cars to drones, and refrigerators to ovens will be connected to the internet. At some point in the future, we may even connect our brains to the web if Elon Musk’s vision becomes a reality. With artificial intelligence, computers will think and learn in order to provide user-centric interactions. Chatbot speech-to-text and text-to-speech apps on the front end, combined with back-end machine learning algorithms which analyzes structured and unstructured data to predict user choices, will make experiences contextual, relevant and semantic. With blockchain, computing on the web will be decentralized through peer-to-peer information exchanges between individuals, corporations and machines. Without middlemen extracting tolls on the information highway, value currently locked in data silos will be unleashed. With platforms, consumers and producers on the web will benefit from various network effects. Centralized and decentralized technology platforms such as cloud and blockchain platforms will connect the rising demands of consumers with the rapidly growing supply of developers producing applications. Unlike early 2000s Ice Cube movies, the web will be timeless, and although we are farther than we think, we still haven’t reached a tipping point. Many pioneers and incumbents are competing in a race to evolve the web. In fact, the emerging technologies making up the components of an archetypical Web 3.0 app already make up integral parts of the apps we use today. From personal assistants like Siri and Alexa to machine learning algorithms automatically correcting these sentences as I type up this article, AI is quickly gaining traction in modern apps. Moreover, the ubiquity of today’s most popular apps like Facebook and Spotify in internet connected devices like watches and cars, speaks to the current state of IoT integration. Furthermore, applications of blockchain like payments through Bitcoin and supply chain tracking through IBM Food Trust are gaining traction among mainstream users and established institutions like Fidelity and Walmart. Lastly, the modern developer is rapidly deploying apps integrated with these Web 3.0 components using technology platforms like IBM Cloud and IBM Blockchain Platform. So, what does a model Web 3.0 app look like? Stay tuned for part two of this series, where I will dissect the architecture of an archetypical Web 3.0 app. In the meantime, grab a cup of coffee and some of these code patterns, and start building the apps of tomorrow, today.